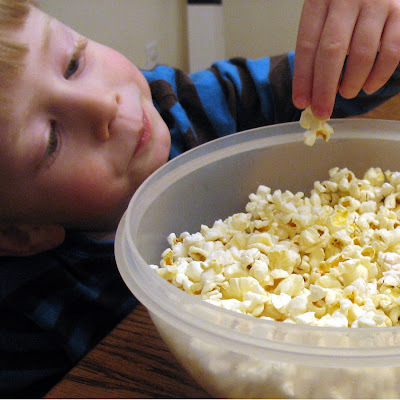 Kiddo: "Mama, how many bites of dinner do I have to eat to have popcorn for a snack tonight?" Me: "What? That's not why you eat dinner. You eat dinner so that you fill your belly with good food that helps you grow up big and strong." Kiddo: "How about five bites?" Kiddo: "How about no bites?" Yep, I gave up. There's just something wrong about a kid negotiating the number of bites he must eat to get a snack or dessert. So I gave him popcorn and milk for dinner. But tonight, I'm trying some new strategies to end our food battles and restore peace to the dinner table.